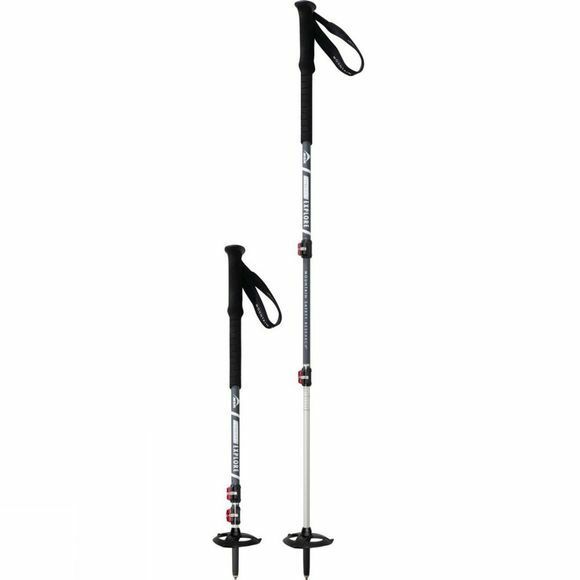 Dynalock Explore Poles from MSR are all-aluminium, 3-section packable poles for snowshoeing and mountaineering in variable and rugged terrain. The pole’s dual DynaLock mechanisms offer a full range of length adjustment (63 - 140cm), along with the confidence of tool-free tensioning—which allows the clamping force to be adjusted on the fly. With both powder and trekking baskets, DynaLock Explore poles are primed for all-mountain, all-season exploration. 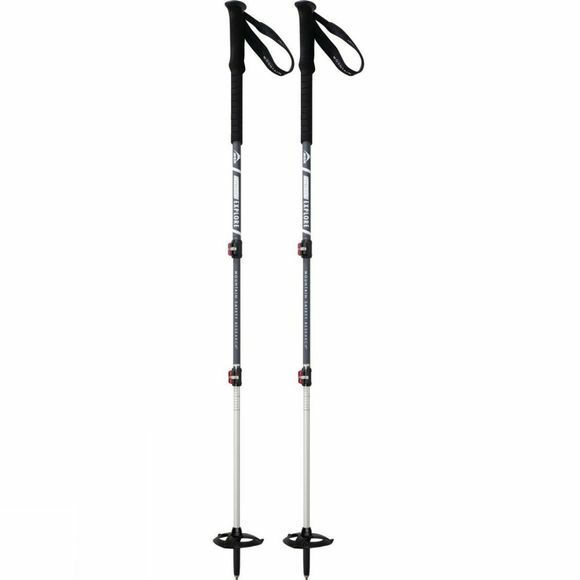 The poles are made of light, high-strenght 7075 aluminium for increased durability. Rock-solid DynaLock means that the poles can be easily adjusted on the go without any tools. Extended EVA foam grip provide comfort while sidehilling or choking up on steep terrain. The poles are versatile and can be used all year around thaks to winter and summer baskets (included).